According to the National Assessment of Educational Progress, less than one third of children with reading disabilities receive the proper support at school to address these issues. 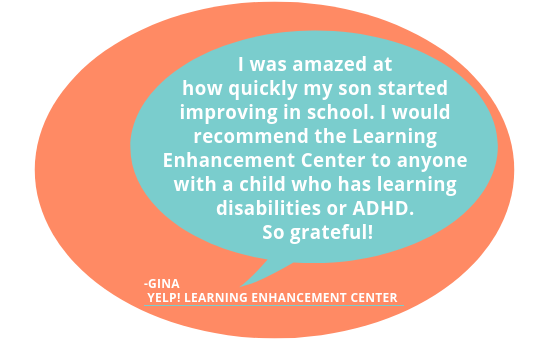 Since 1990, David & Margaret’s Learning Enhancement Center (LEC) has helped hundreds of children and adults turn their learning disabilities into abilities. The LEC accomplishes this by training the brain to accurately and effectively take in information, process it, and respond appropriately. We help our clients by evaluating visual, auditory, and motor skills. Based on the results of assessments, individualized programs are developed to target areas of need.